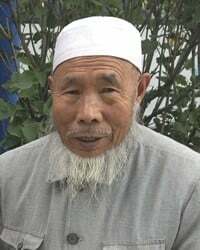 Hui Chinese people are a Muslim people group originating mainly in the Northwestern provinces and the Central Plain of China. In China, they number over 10 million. The majority speak Mandarin Chinese. They are ethnically and linguistically similar to the Chinese Mandarin people group with the exception that they practice Islam, creating their own distinct people group identity. As Muslims, they follow Islamic dietary laws and reject the consumption of pork, the most common meat consumed by Chinese Mandarin people. They also wear different clothes, with primarily men wearing white caps and women wearing headscarves as is the case among other Muslim peoples. See the Chinese Muslim Association of North America facebook page to view some of the locations they reside and locations of Muslim Chinese restaurants. Ask the Lord to call people who are willing to reach out and share the love of Christ with the Hui. Pray that God will raise up faithful intercessors who will stand in the gap for the Hui. Pray that their traditional culture will soften, creating open doors for the Gospel to be preached among Hui.